In the early days of the movies, the Alaska and Klondike gold rushes were only twenty years in the past. 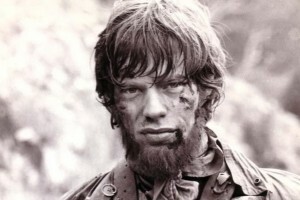 Many people remembered them, including those who had only read of them when they were taking place. 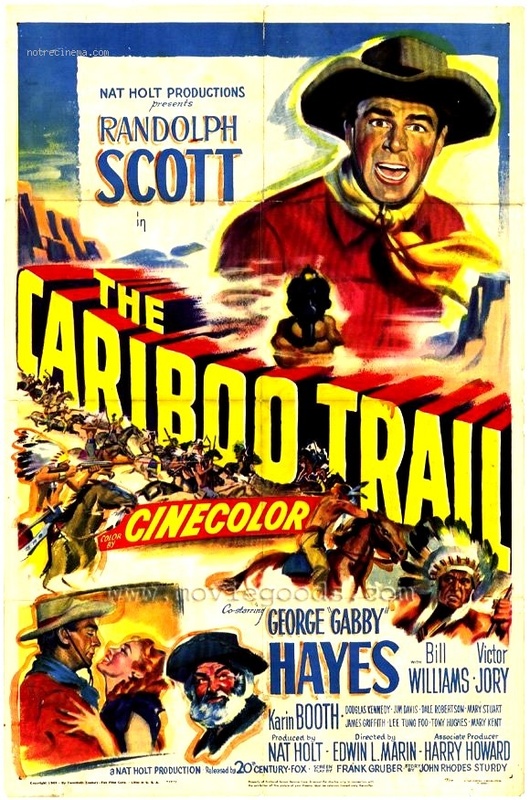 The gold rushes had also given rise to popular novels that used the wild northern country as a setting for adventure stories, like the stories of Jack London, James Oliver Curwood and Rex Beach. 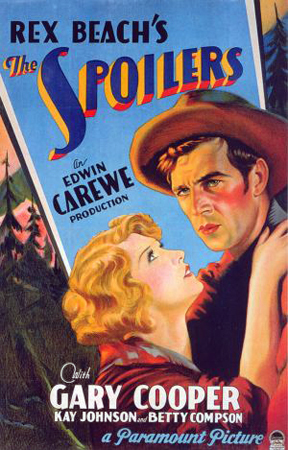 The narrative poems of Robert W. Service, about “The Shooting of Dan McGrew” and “The Cremation of Sam McGee”, were well known. 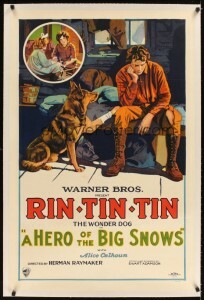 In the 1920s, Charlie Chaplin (The Gold Rush) and Buster Keaton (The Frozen North) made movies set in the northern gold rushes, as did Rin Tin Tin. 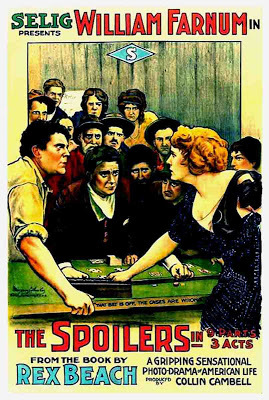 Some of these stories, like The Call of the Wild and Rex Beach’s 1906 novel The Spoilers have been made as movies multiple times. Although used less frequently as a setting now, more than a hundred years after the northern gold rushes took place, they still have some interest for modern audiences, as seen in the recent (2014) television miniseries Klondike. 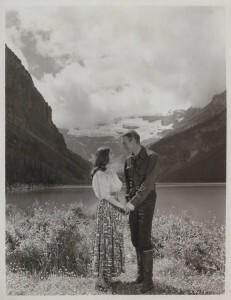 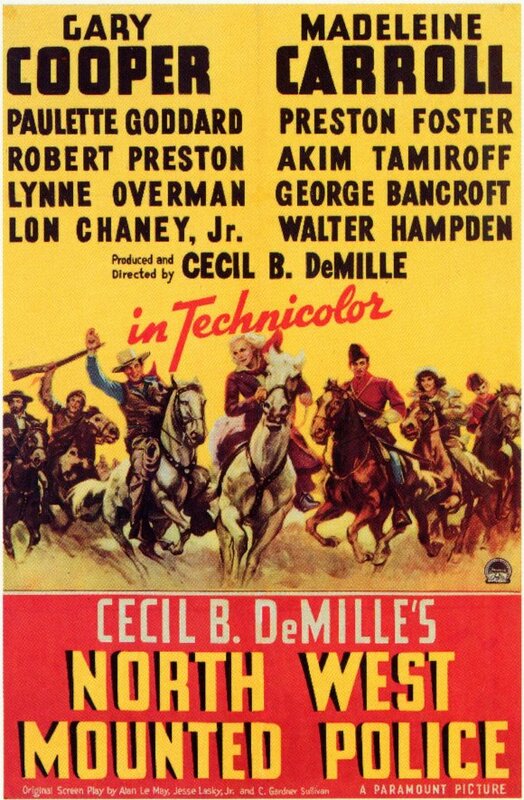 The use of the frozen north as a setting has much in common with westerns—themes of civilization vs. lawlessness, self-reliance in defense of one’s life and property, surviving in an often-hostile nature, ranching and mining, Indians and outlaws. It just happened there a decade or two later than it did in what we normally think of as the American west. 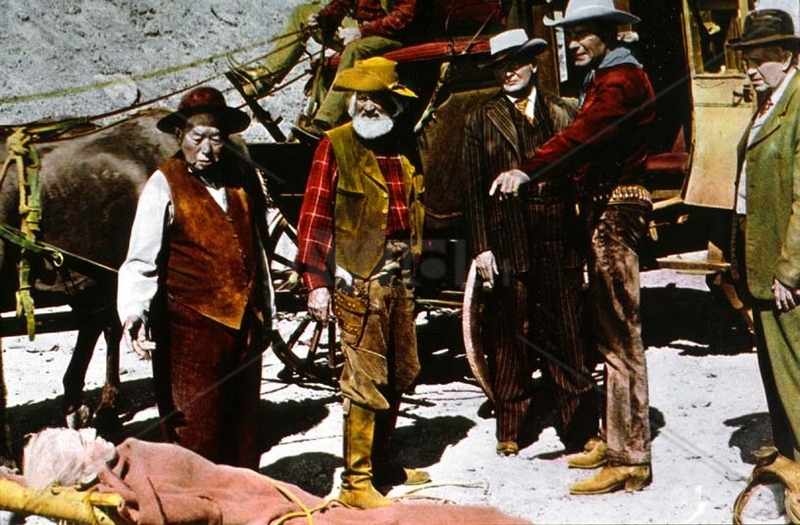 Indeed, many of the figures in the American west, such as Wyatt Earp, drifted northward with the gold strikes. If Bill Hickok hadn’t been dead for more than twenty years, he might have been tempted as well. 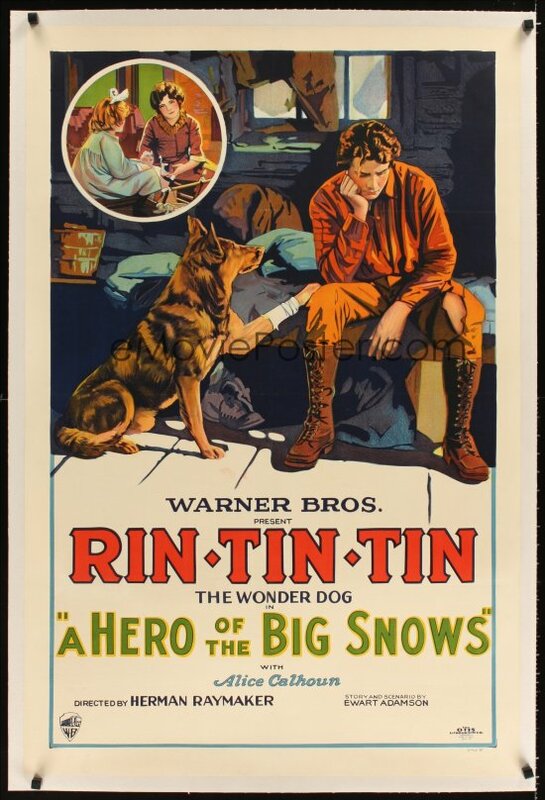 As usual, there are probably other movies that could be added to these lists. 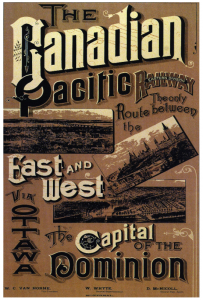 If you have one, please leave a comment. 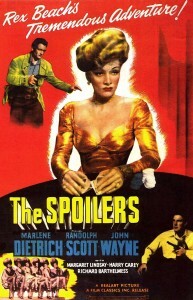 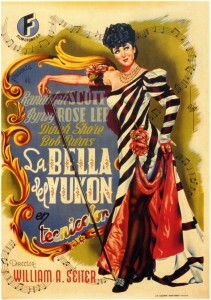 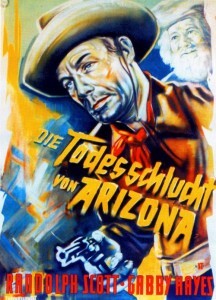 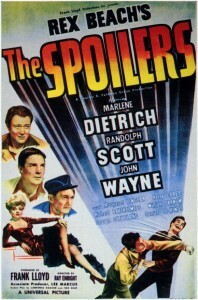 Poster for Gary Cooper in The Spoilers (1930); Mae West in Klondike Annie (1936). Heath Ledger as Ned Kelly (2004); the real Ned Kelly in 1880, the year he was captured. 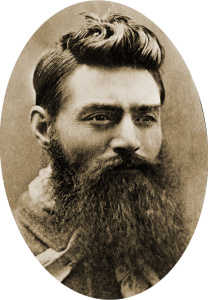 The Australian frontier offers many of the same conditions that makes U.S. westerns so compelling: deserts, ranching and mining, aboriginal inhabitants, lawless conditions, survival stories, and outlaws. 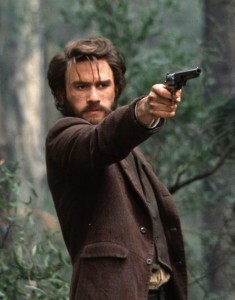 If anything, outlaws are an even stronger element of Australian stories, since Australia was settled by outlaws. And Australia has its own famous historical outlaws, like Ned Kelly. 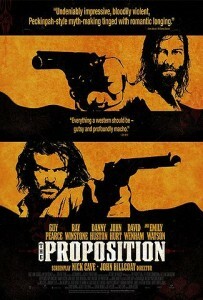 Poster for The Proposition (2005); Mick Jagger as Ned Kelly, 1970. 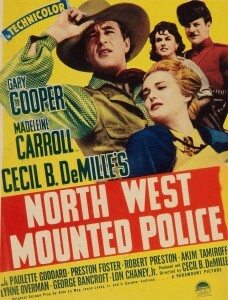 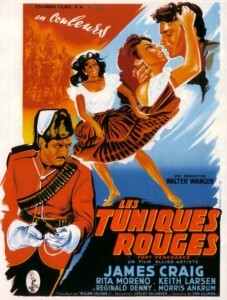 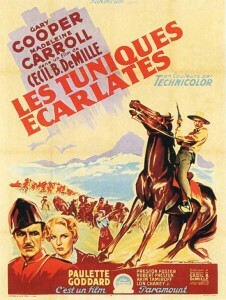 This entry was posted in Lists and tagged Australian Westerns, Northern Westerns on May 6, 2014 by Nicholas Chennault. 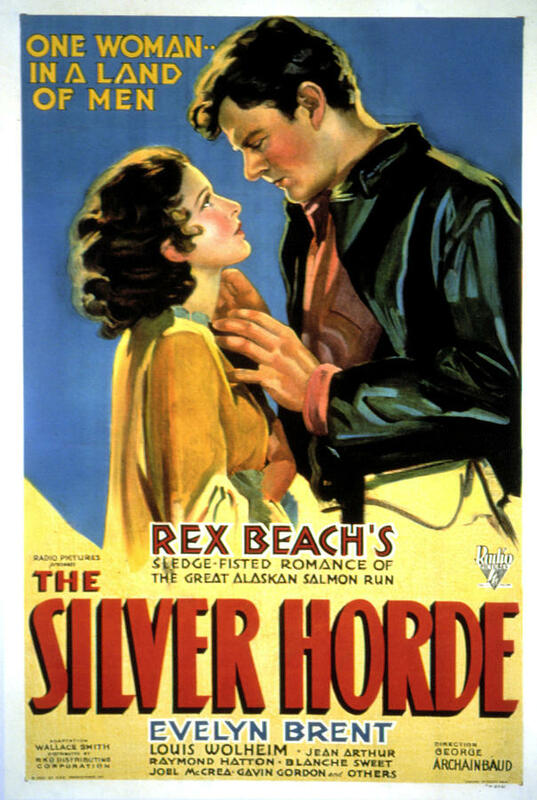 This is the fifth and most recent version of Rex Beach’s oft-filmed novel of claim-jumping, fraud and larceny in the Alaska gold rush of 1899. Like some of the other frequently re-made stories from the earlier years of the movies (The Virginian, Whispering Smith), this one hasn’t been done again in 60 years, as tastes in stories and forms of entertainment have changed. 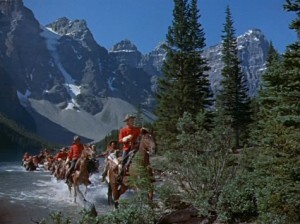 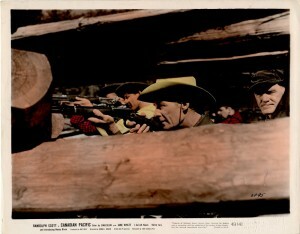 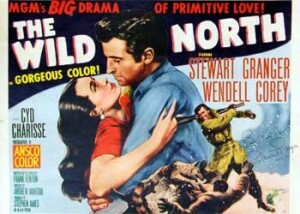 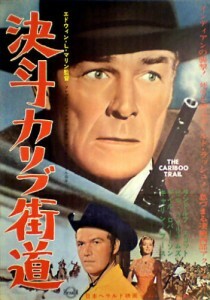 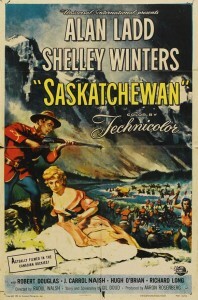 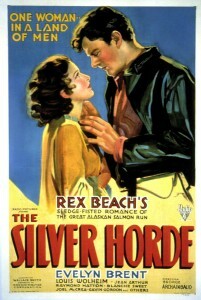 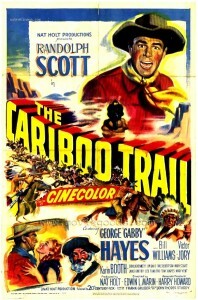 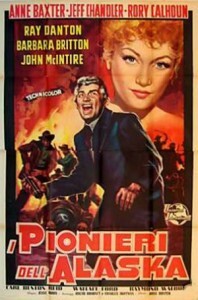 This story and various of its elements (the culminating fight scene, the female saloon owner in love with the good guy, the shared mine ownership, the con-man claim-jumping mastermind) obviously influenced better Alaska gold rush movies such as 1954’s The Far Country and 1960’s North to Alaska. 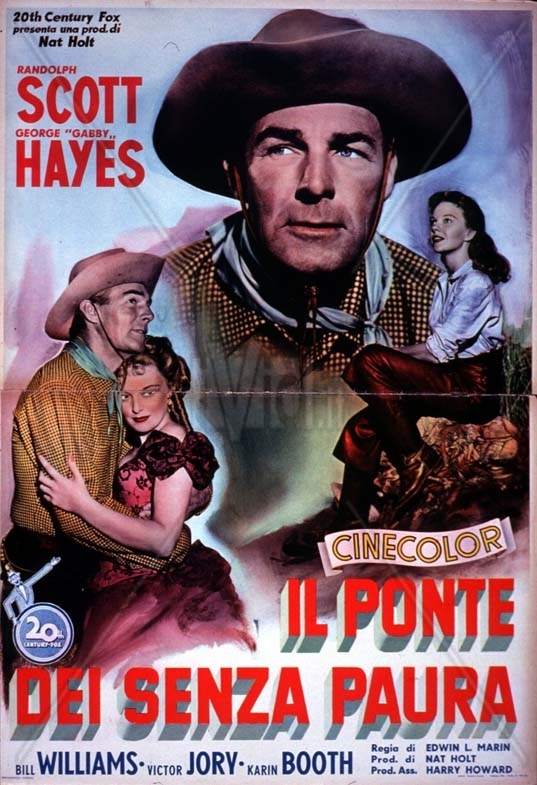 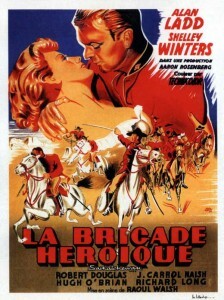 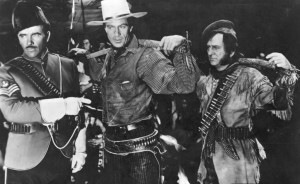 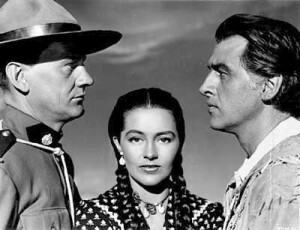 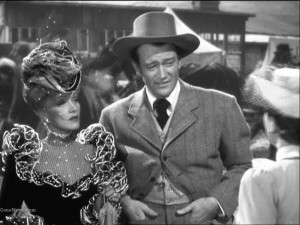 The 1930 version of the story with Gary Cooper is apparently lost; the 1942 version with John Wayne and Randolph Scott is generally thought to be the best, especially its climactic fight scene. This one is watchable but not exceptional. 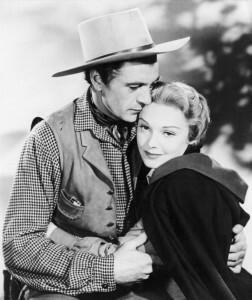 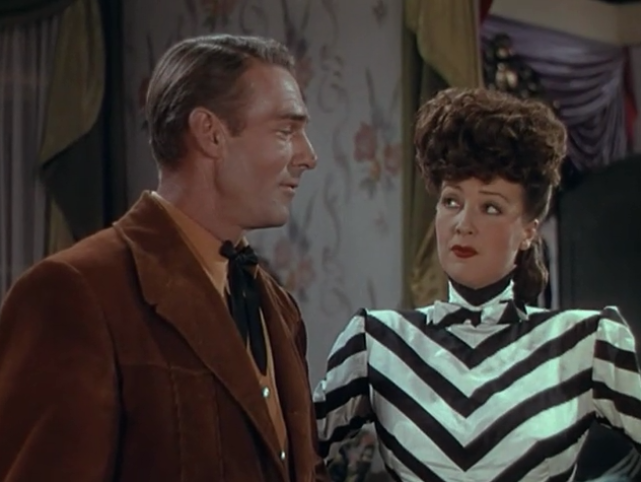 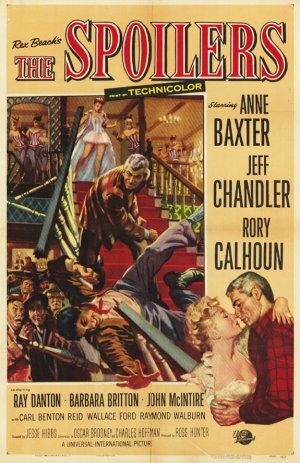 As the movie opens, the arrival of Roy Glennister (Jeff Chandler) and his partner Dextry (John McIntire) on the boat from Seattle is anticipated by his girlfriend, saloon owner and dance-hall girl Cherry Malotte (Anne Baxter). There have been a number of claim-jumping incidents recently, and nobody knows where the new gold commissioner Alexander McNamara (Rory Calhoun) will come out on these things. 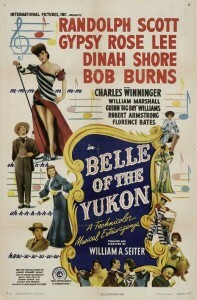 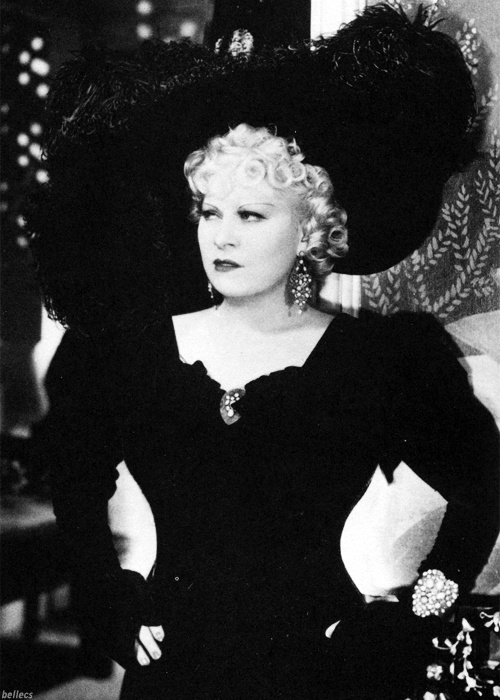 When the steamer arrives, Cherry is chagrined to find that Glennister has apparently been keeping company with the new federal judge’s attractive young niece, and she and Glennister have an explosive break-up. 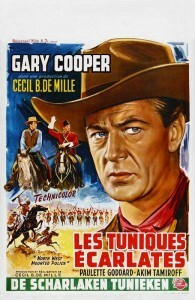 Concern over claim-jumping dies down as the new judge generally seems to find for the original claimants. 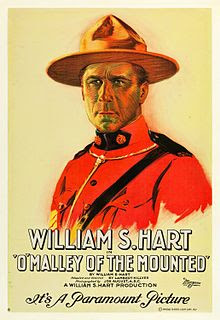 But when Glennister and Dextry are served with a warrant about a competing claimant, we start to see that McNamara is crooked and has hired a fake federal judge. 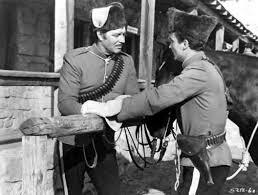 He intends to take Glennister and Dextry’s existing $80,000 in gold and take another $250,000 from their claim while they wait for their case to be heard. 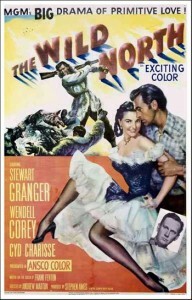 It never will be. 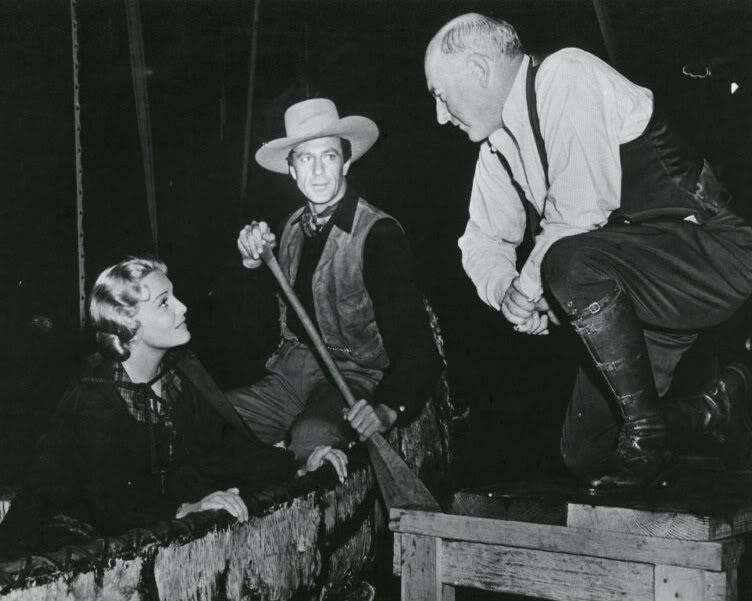 Cherry Malotte (Anne Baxter) gets to know Alexander MacNamara (Rory Calhoun); Dextry (John McIntire) and Glennister (Jeff Chandler) defend their mining claim. 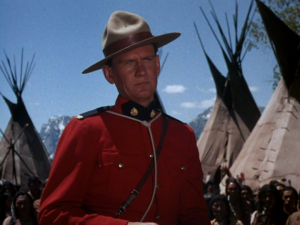 Originally Glennister takes a more law-abiding view than Dextry, but at this point he sees that things are crooked and stacked against them. They try to take the gold from their sequestered safe, and the marshal is killed in the process—shot in the back by Cherry’s dealer Blackie (Ray Danton, who had a short-lived but memorable career as a bad guy in the 1950s before drifting into mostly television work). 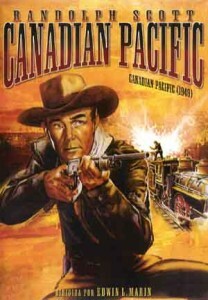 Blackie is apparently playing his own anti-Glennister game because he wants Cherry, too. 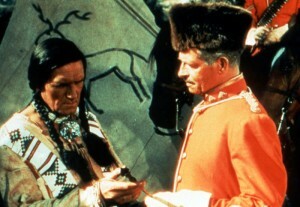 Glennister is blamed for the marshal’s death and thrown into jail, where McNamara plots to allow him to escape and then shoot him down in the process. Cherry hears of the plan and aids a real escape for Glennister. 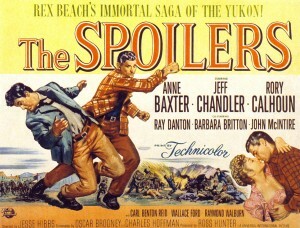 Glennister and Dextry violently take back their mine while McNamara is distracted by Cherry in town. 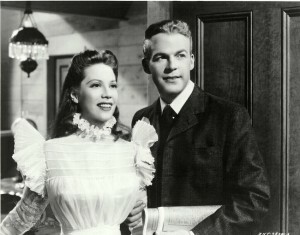 Blackie is killed in a train crash during the recovery of the mine, but not before admitting his killing of the marshal. Glennister confronts McNamara and they engage in a lengthy fist fight that virtually destroy’s Cherry’s Northern Saloon. 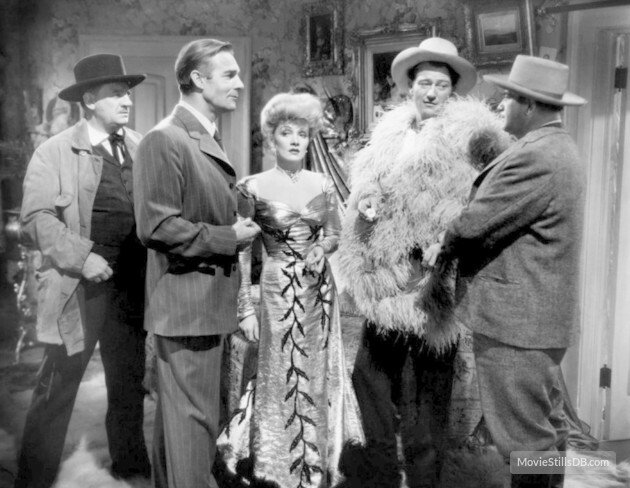 McNamara’s gang is apprehended (including the comely faux-niece), and Glennister and Cherry are back together. Chandler gives a serviceable performance, as does Calhoun. 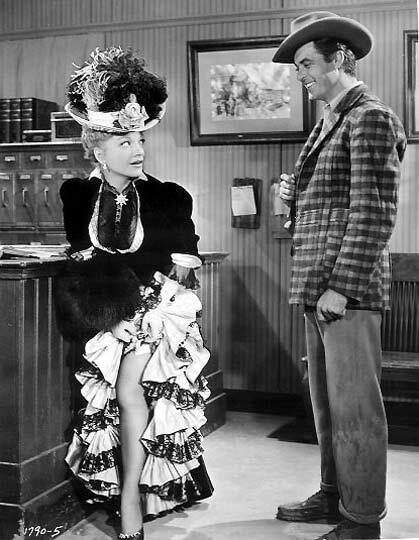 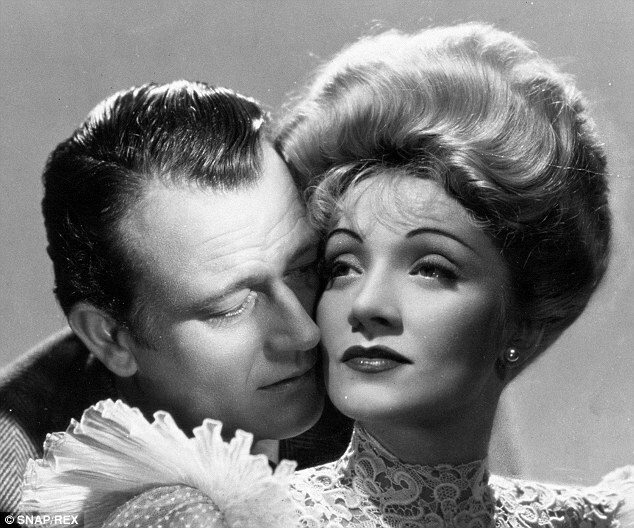 The best are probably Anne Baxter and John McIntire (who had played the principal claim-stealer in the previous year’s The Far Country). Anne Baxter’s most famous role was in All About Eve, of course, but if you’d like to see her in another good western, check out Yellow Sky. 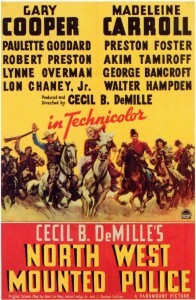 In color. 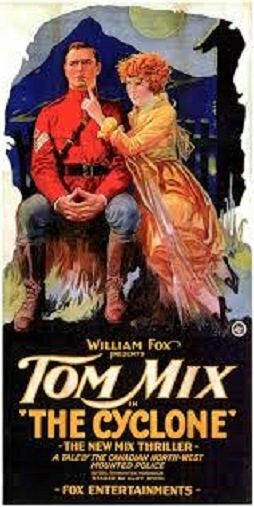 The films are based on Rex Beach’s 1906 novel, which was in turn based on the exploits and machinations of real-life Nome crook and claim-jumper Alexander McKenzie, who served three months in jail before being pardoned by Pres. 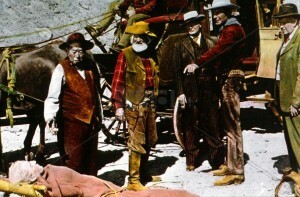 McKinley in 1901. 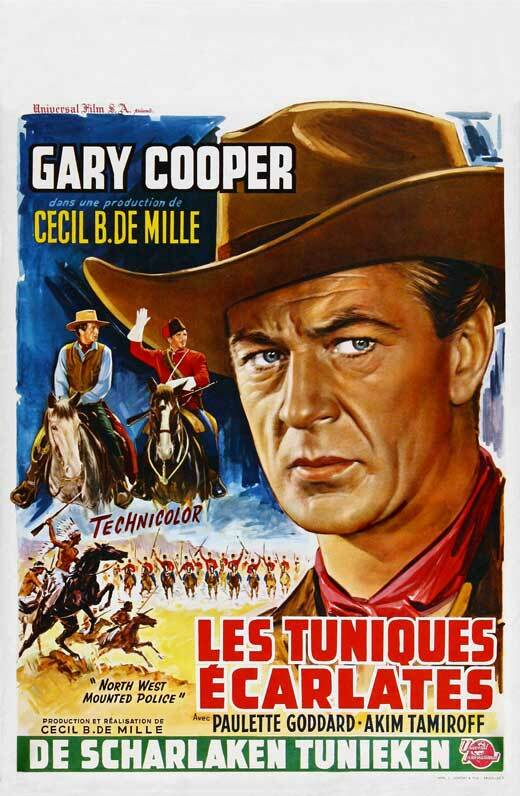 This entry was posted in Westerns Worth Watching and tagged Jeff Chandler, Northern Westerns, Rory Calhoun on March 28, 2014 by Nicholas Chennault. 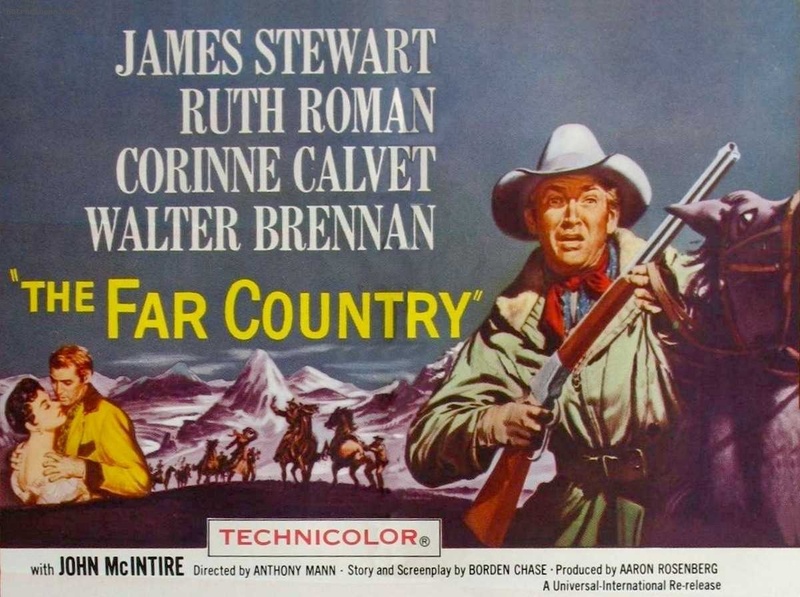 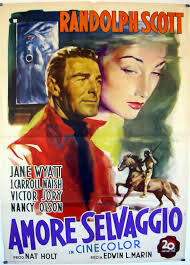 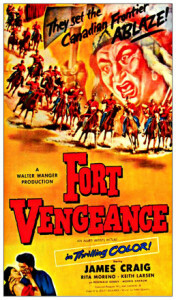 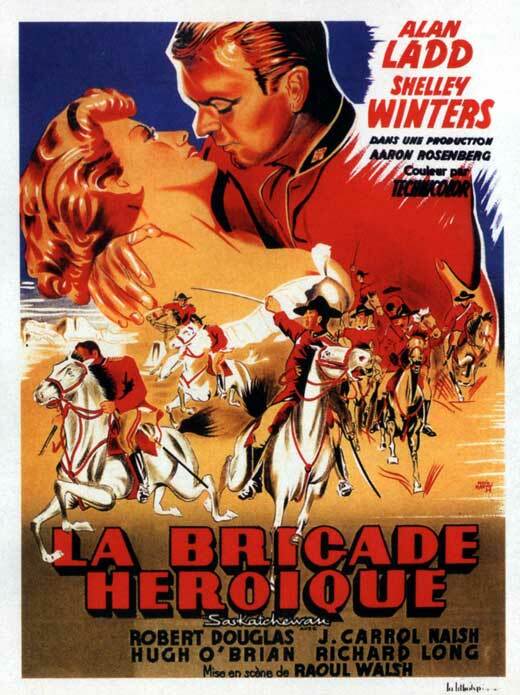 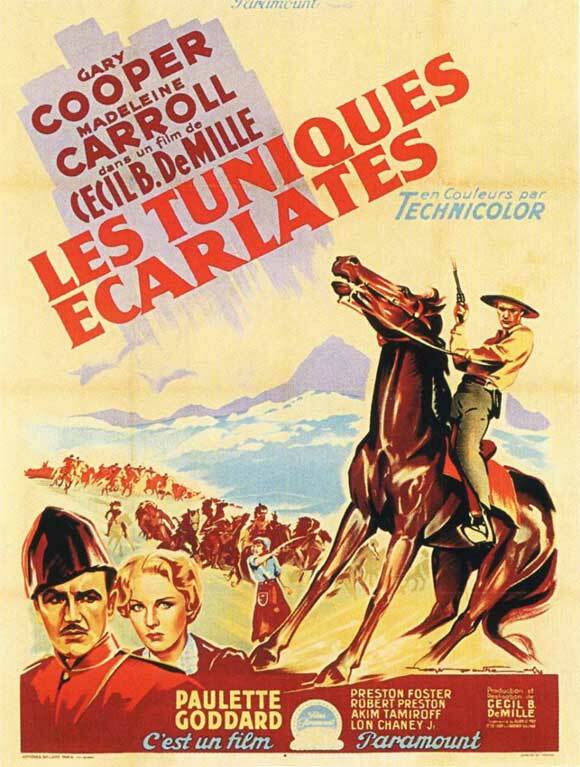 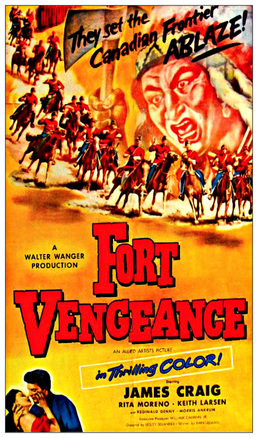 The plot for this resembles Anthony Mann’s better known The Far Country, which would follow in a couple of years. 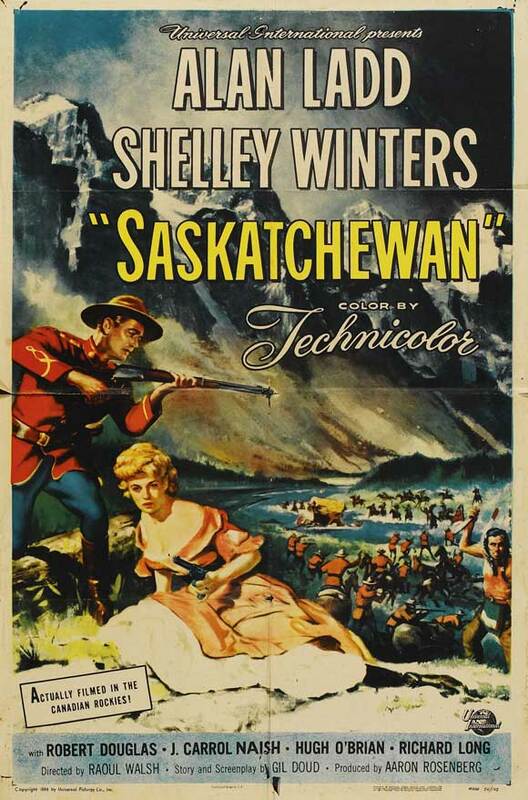 A cattleman takes a herd north to mining country in western Canada, only to encounter trouble from a corrupt town boss and his minions, while developing romantic interests with both a woman who runs a saloon and a more plebeian but more obviously honest young woman. 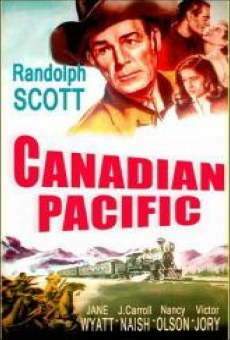 In this case, the cattleman is Jim Redfern (Randolph Scott, at the height of his box office appeal), bringing a small herd to the wild gold strike country of British Columbia with Mike Evans (Bill Williams), and a Chinese chuck wagon cook (Lee Tung Foo). 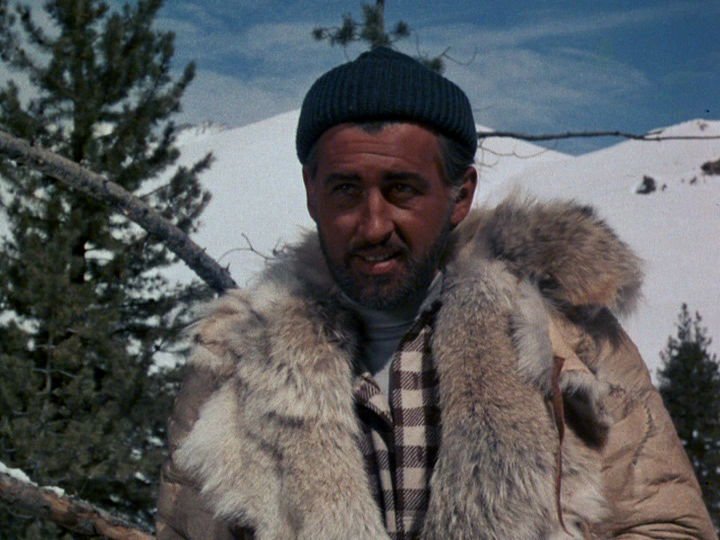 Refusing to pay an exorbitant toll on a bridge, they stampede their herd across and meet prospector Grizzly Winters (Gabby Hayes). 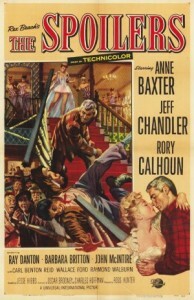 The town is run by Frank Walsh (Victor Jory), a bookkeeper-looking boss with more obvious gunmen around him. 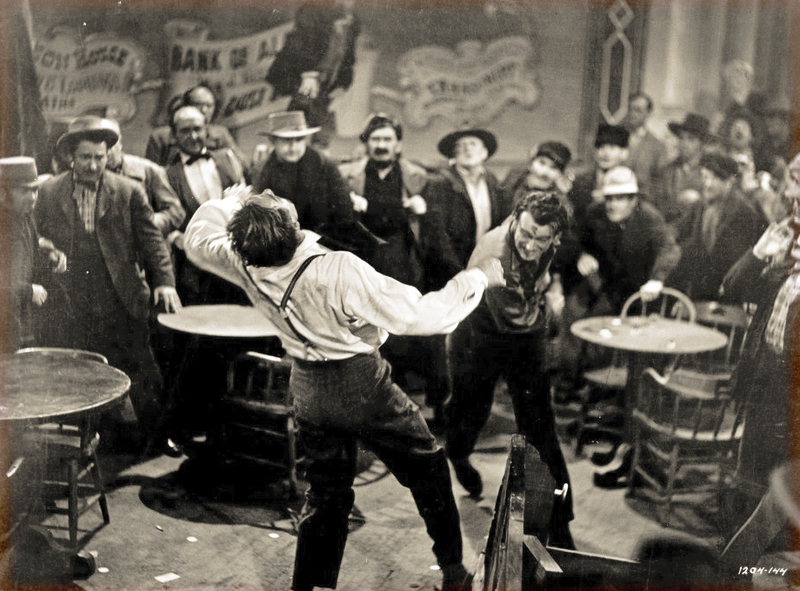 Walsh’s men rustle the cattle, and Evans loses an arm in the stampede. 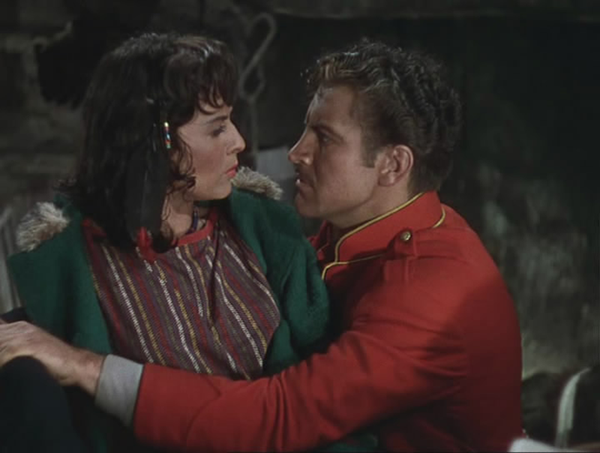 Redfern and Evans find some sympathy with Frances Harrison (Karin Booth), who owns the Gold Palace and has refused to sell out to Walsh. Getting the wounded Evans (Bill Williams) to a doctor. 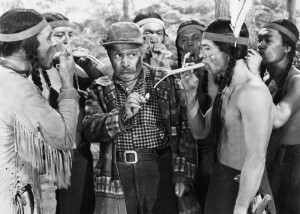 Although he’s a novice prospector, Redfern finds a gold strike, which he uses to buy into a large herd being brought in from the south. 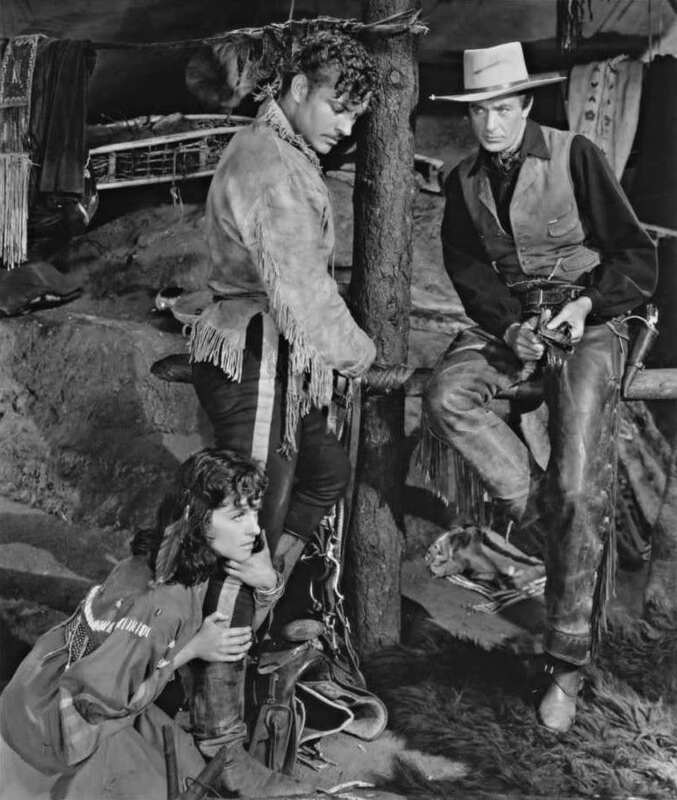 (The foreman of this new herd is Will Gray, played by Dale Robertson.) Meanwhile, the embittered Evans both joins and fights Walsh, while he blames Redfern for the loss of his arm. 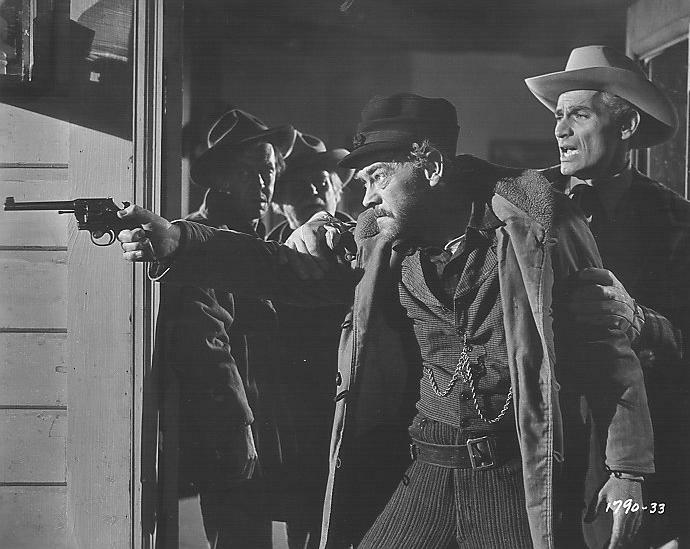 In the resolution, Walsh’s men try to stampede the new herd, and Evans leads miners to the rescue but is killed. In color, but a curiously flat color. The plot’s not as coherent as it might be, and the end is abrupt. 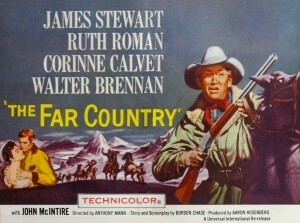 Serviceable, but not as good as The Far Country or Scott’s later work with Budd Boetticher. 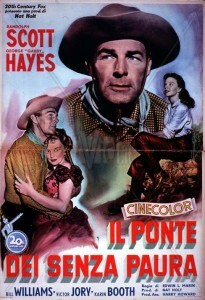 This is Hayes’ final film, and he’s not as obnoxious as in some of his earlier Roy Rogers vehicles. This entry was posted in Westerns Worth Watching and tagged Cattle Drives, Northern Westerns, Outlaw Gangs, Randolph Scott on March 12, 2014 by Nicholas Chennault.